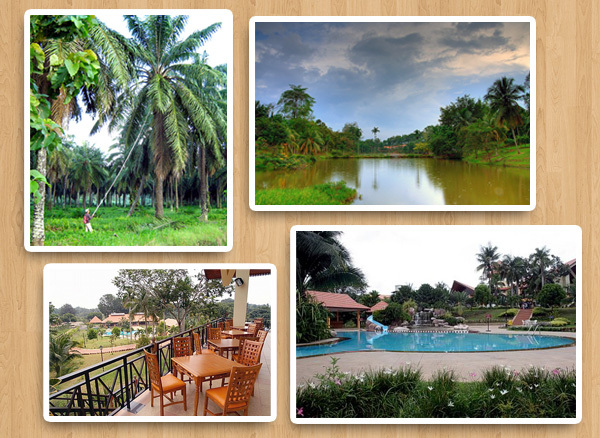 Tekam Plantation Resort is nestled amidst the vast plantations of Malaysia fringes the boundaries of Taman Negara National Park is the country's model agrotourism project. It is a destination that is a perfect hideaway and a home away from home in every aspect with its fabulous natural features and surroundings. The resort offers an agro-ecosystem adventure which begins with the plantation tour of crops such as oil palm, cocoa, coffee, rubber, coconut and many exotic tropical Malaysian fruits. Experience first hand, the harvesting of oil palm bunches, tapping rubber, or picking cocoa or coffee. Widen the scope of understanding from the harvesting to the processing and finally to the various important end products like soap, tyres that are synonymous to our everyday lives. Experience and relish the taste of exotic and rare tropical fruits freshly picked from the fruit trees, many of which are local to Malaysia. The Durian has been nicknamed the "King of Fruits" for its strong aromatic smell which many Malaysians and indeed even foreigners loved. *Price listed subject to change without prior notice. Please check with our Tour Desk for latest updated price, if any. 08:00am Depart from Kuala Lumpur. 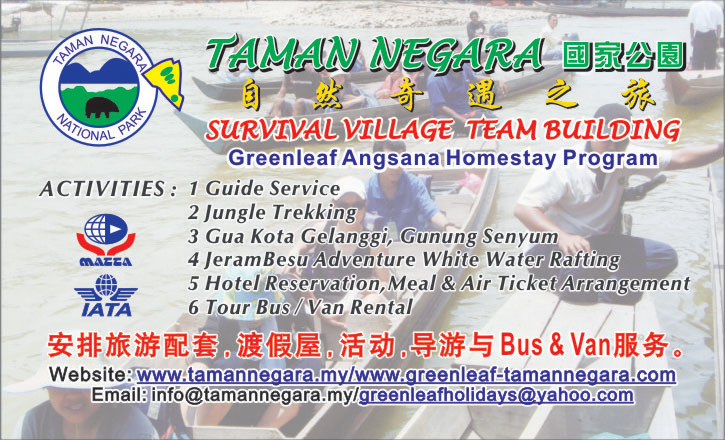 12:00pm Departure to Tekam Plantation Resort. After Breakfast, Free and Easy time (choose optional activities, refer optional activities RATE TABLE below). 12:00pm Pick up from Tekam Plantation Resort. 01:30pm Depart to Kuala Lumpur OR to other destination. 1. 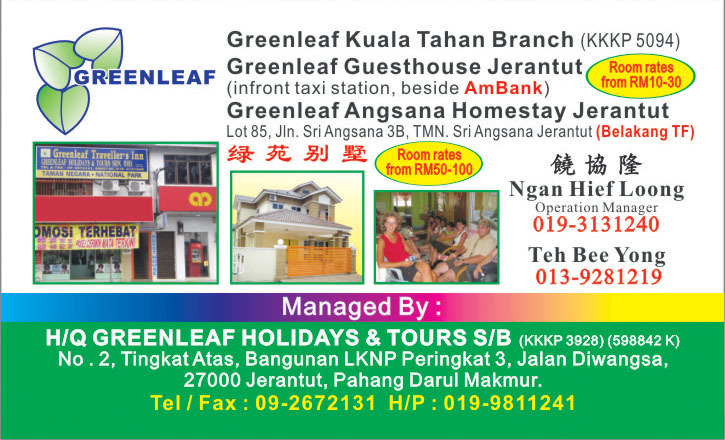 2 Nights accommodation at Tekam Plantation Resort. 2. 2 local breakfast at Tekam Plantation Resort. 3. Free use of Tekam Plantation Resort swimming pool. Facilities that available in the resort includes coffee house, swimming pool, soccer field, cafeteria, tennis court, board games, mini market, volleyball court, flower nursery, library, Sepak Takraw court, Children's playground, conference room/hall, and table tennis.